Affiliate World - ready or not, here we come (and we’re ready)! Come say hello at the Netopartners-sponsored meet-up event or at our conference booth, or both! Think private beach. Think water sports & beach games. Think music & drinks nonstop! Could you think of a better opportunity to network? We couldn't either! So we’re sponsoring this amazing event that you definitely want to be part of. Want to show off your hidden talents, or simply grab a cocktail and enjoy the vibe at one of Spain's best locations? Mastermind level content from top affiliate and eCommerce marketers? Check! Amazing networking opportunities? Hell, yeah! Mind-blowing events and exhibition floor? You bet! Be there, and come to our square: the Netopartners booth will be wide open for you with drinks and surprises on all days, anytime. Want to get the most out? Live your dreams; fight the zombies, and experience our very first 243-Ways-to-Win slot game to feel like you’re owning life from the top of the food chain. 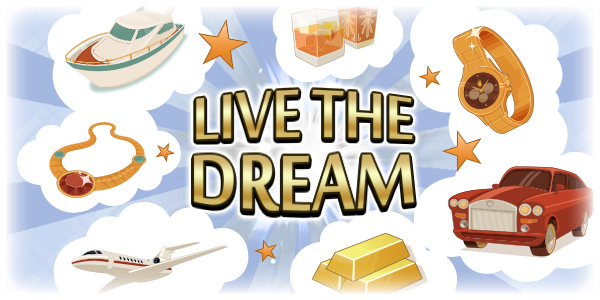 Step into the shiny shoes of a plush billionaire and spin it up with the blingest of features: up to 30 Free Spins that can re-trigger; a multi-level bonus game where prizes can be multiplied, and Wild icons that double or quadruple your wins - all ensuring you feel perfectly pampered and well looked after. Our very first 243-Ways-to-Win (aka All-Ways) 5X3 video slot game! With max wins of x417 the total bet, Fruity Spins offers players multiple chances to win with every spin at the price of a single bet + big paying Scatter icons that award them with Free Spins! Lover of Adventure? Action? Sci-Fi? This is your common ground: unite to fight the apocalypse as zombies launch their attack on civilization! Spin for your survival with the help of up to 30 Free Spins (all wins tripledand can re-trigger to earn you a further Free Spins !) plus two extremely cool bonus games with bonus wins that can be multiplied by up to x5, depending on the number of bonus icons you get. Double the fun with the comeback of our beloved classic scratch and our new sweet stirring slot that’ll make players’ heads spin and hands itch for more! 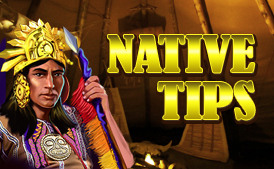 Wild Honey- Buzz-filled 20 payline 2-3-4-3-2 honeycomb-structured video slot visually and aurally designed for a wide range of players with lucrative Free Spins and Bonus round, allowing players to win up to x12,785 the original bet! Fortune Wheel - Faster, sparklier & mobile-friendly version of the beloved Fortune Wheel scratch game for traditional lottery scratch cards fans with an awesome ‘Spin the Wheel’ Bonus round and max wins of x10,000 the bet.